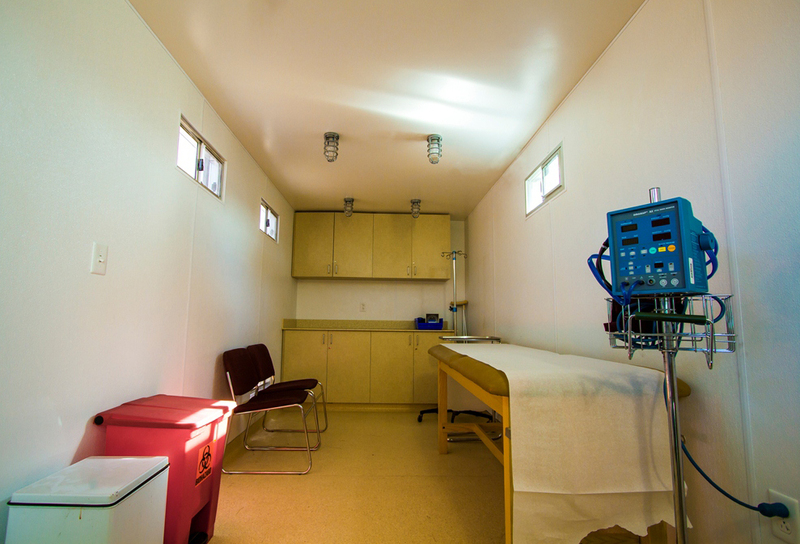 G3Box is a “more than for profit” company that sells shipping containers converted into medical clinics to customers seeking a durable, semi-mobile, and stand-alone facility that is ideal for remote environments. G3Box, a startup company formed by students in the Ira A. Fulton Schools of Engineering as part of the Engineering Projects in Community Service (EPICS) program, is now in its final week of fundraising to send a mobile medical clinic to Kenya to provide women in the region with a sanitary place to give birth and obtain medical treatment. The group has had strong support toward its goal of raising $17,650 through an Indiegogo crowdfunding campaign, including a significant boost from Scottsdale, Ariz.-based Axosoft. After Axosoft CEO Hamid Shojaee saw the campaign on Facebook, he encouraged employees to contribute with the incentive that Axosoft would give 4:1 for each donation. Employee donations and company matching raised $5,000 for G3Box. “Ultimately, the goal is to save and sustain lives in developing countries. Getting the word out about this campaign and garnering this incredible community support is just the beginning of doing that,” says Susanna Young, CEO and co-founder of G3Box. Over the past two years, G3Box has been working to develop and create a system for delivering quality healthcare to communities that currently lack access to care, equipment and space. 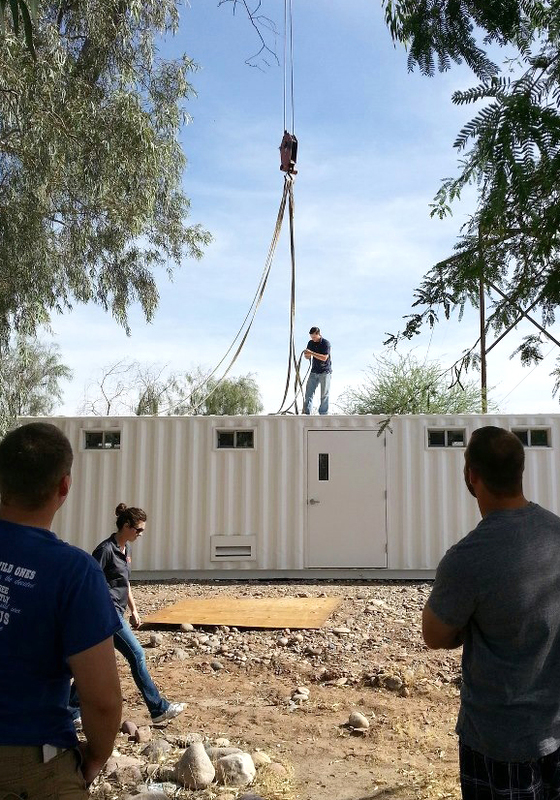 Their innovative solution repurposes unused shipping containers into portable medical clinics—adding ventilation, insulation, power, potable water and waste removal. 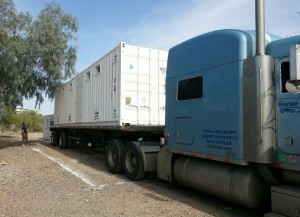 The containers provide medical workspace and a comfortable environment along with access to power and potable water. Kenya, with a maternal mortality rate of 530 women per 100,000 live births, is the initial deployment target for G3Box. The group says that not only will mothers’ and newborns’ lives be saved, but the clinics will be staffed by local physicians and nurses providing jobs for the community. With the support of DPR Construction and Smith GroupJJR, G3Box is ready to send the maternity clinic to Kenya where it will be placed, operated and maintained by partners of the International Medical Equipment Collaborative (IMEC). Funds raised will be used to ship and install the clinic. 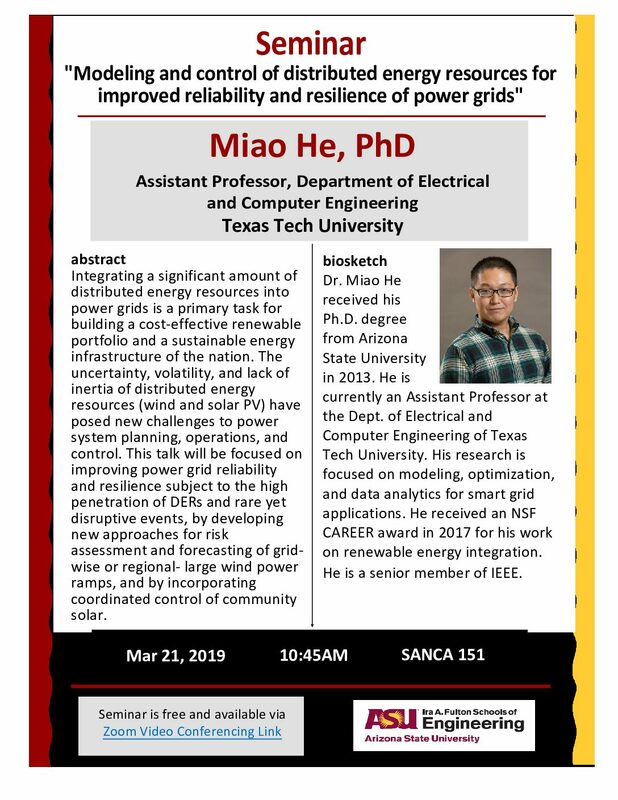 The idea for G3Box was formed through the EPICS program at Arizona State University, with two projects ultimately merging into one to form G3Box. 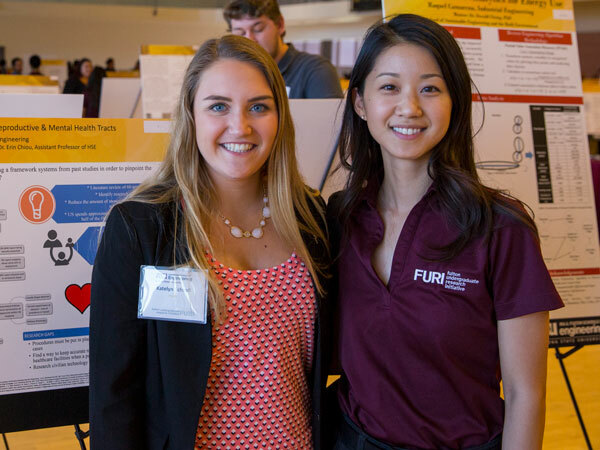 “ASU fosters an entrepreneurial community, giving students not only hands-on projects early in their academic experience, but—similar to G3Box—inspiration and resources to establish companies that solve real-world problems,” says Paul Johnson, dean of the Ira A. Fulton Schools of Engineering. The company—whose name stems from a commitment to Generate Global Good—provides durable, semi-mobile, stand-alone facilities that can be used to provide access to health facilities in remote areas, or when access to facilities is limited after a natural disaster. A portion of the profits go to support efforts to convert the containers for maternity clinics in developing countries. G3Box has created a maternity clinic that is ready to go to Kenya. G3Box has been named College Entrepreneur of the Year 2011 by Entrepreneur magazine, runner up Coolest College Startups of 2012 by Inc. magazine and has twice received funding and mentoring support through the ASU Edson Student Entrepreneur Initiative. Young’s (B.S. ’11 and M.S. ’12) partners include Clay Tyler (B.S. ’11 and M.S. ’12), Billy Walters (B.S. ’12) and Gabrielle Palermo, a recent graduate in biomedical engineering and Fulton Engineering Outstanding Graduate. To learn more about the G3Box Indiegogo campaign, visit http://www.indiegogo.com/projects/g3box-ship-a-maternity-clinic-to-kenya. To learn more about G3Box, visit http://www.g3boxllc.com/.